The self catering Lodge has ground floor accommodation with facilities available for the less abled. 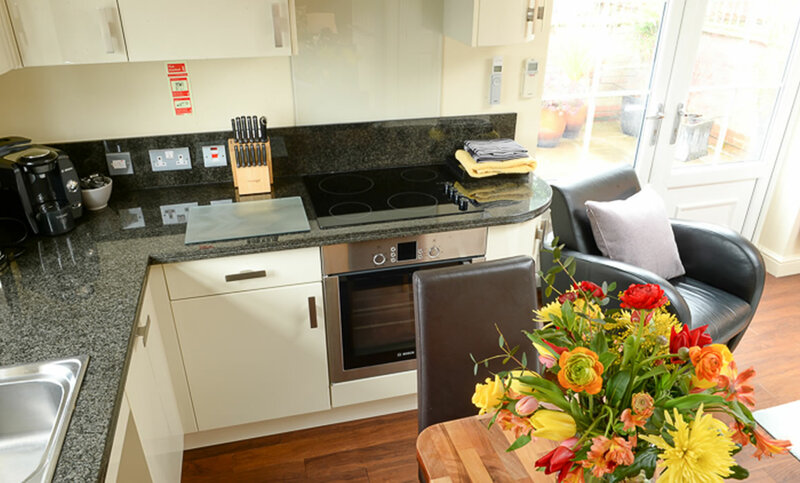 The Lodge has very high quality fixtures and fittings, all done to an excellent standard. The interior has been designed for wheelchair users and the less mobile. Accessibility rating level M31. 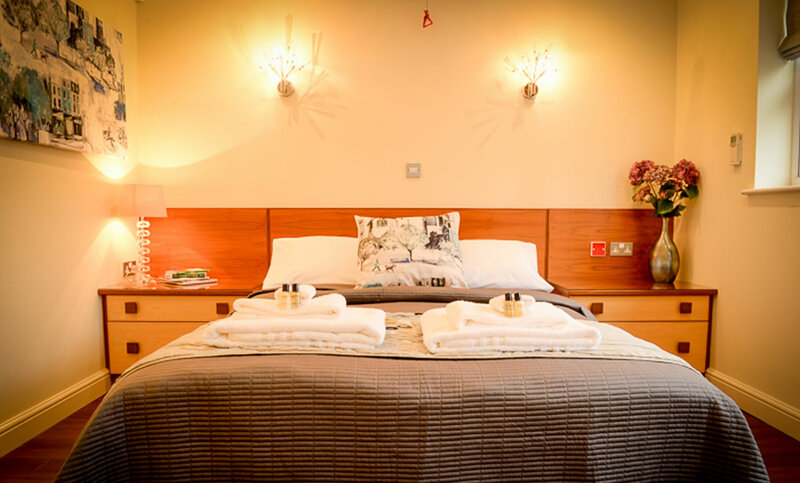 The Lodge has one bedroom with a king size bed and built in wardrobe with Liddel fluffy towels, fresh cotton linen provided, complimentary toiletries and hospitality tray. 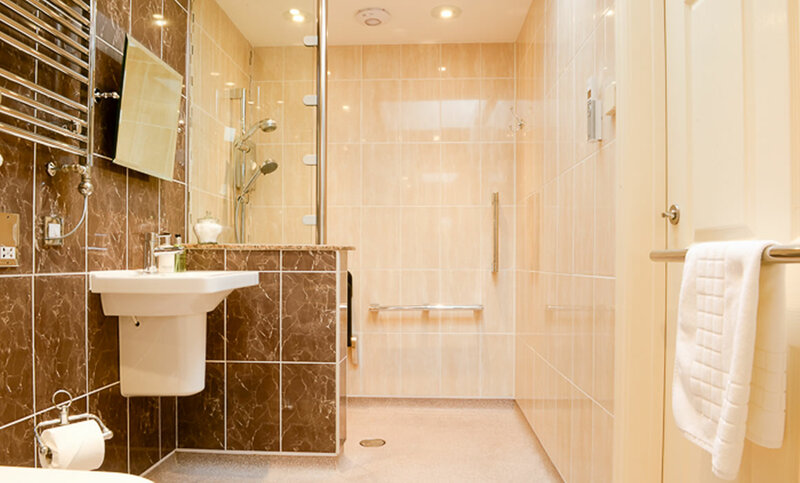 There is an en-suite wheel in wet room with grab rails in the shower area and beside the toilet and the hand wash basins have lever taps. 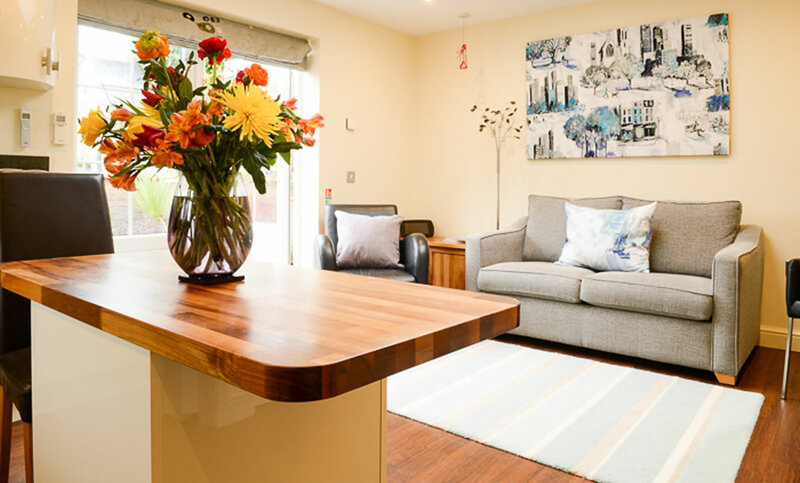 The Lodge has an open plan sitting room and kitchen and is well furnished with a sofa bed, smart TV’s and dining table. 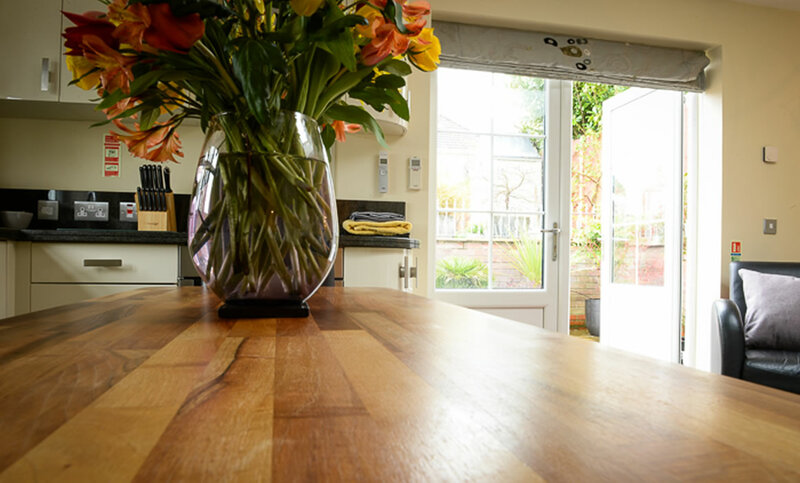 The kitchen is very well equipped with fridge, freezer, hob, oven, microwave, dishwasher, washing machine/tumble dryer and iron. All rooms have good wheelchair access throughout. Parking beside the property is all one level. The Lodge has no steps. 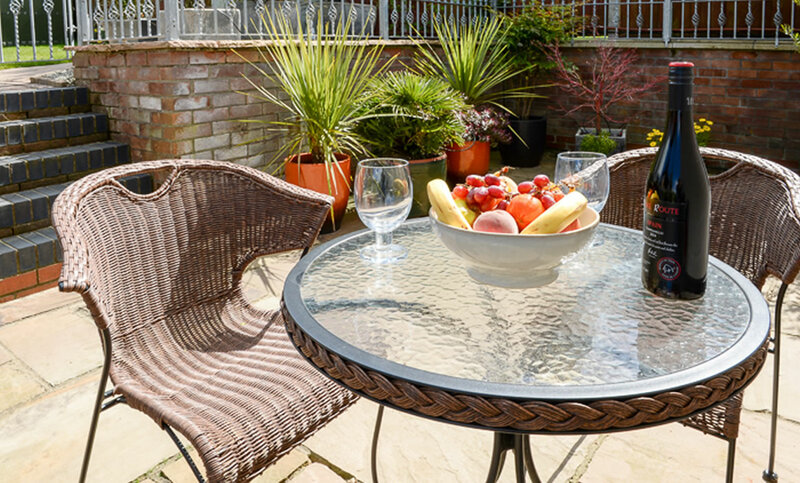 There are patio doors that lead out to the private patio area with attractive plants and seating. From the Lodge there are views over the wooded Dell. Booking is a minimum of three nights. All prices are per night. The price of the Lodge includes heating, electricity, linen and towels. 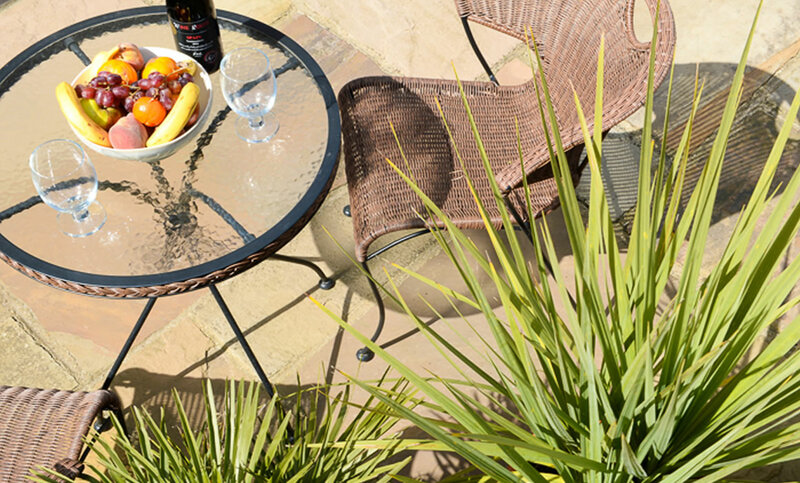 Guests are requested to pay an advance deposit of £20.00 per night to secure booking. We are only able to take assistance dogs. For equipment hire or other aids please contact us.